The main purpose of a white paper is to help clients who are seeking solutions for certain issues make informed decisions in favor of a product or a service a company is offering. White papers stand somewhere between an article and a promotional brochure. They contain useful information, show how a problem can be solved with the help of certain products or services, and they push readers towards purchasing those products or services. Identify the main problem your audience is facing and form a solution to the problem. Determine the competence of the audience. Your white paper shouldn’t be too simple or too difficult to comprehend. Choose the most acceptable style for your target audience. If you write for business people or academics, you shouldn’t be too informal or personal. On the other hand, if you write a white paper for households, being formal and using case-specific terms will discourage your audience from reading your work. Write an introduction. In it, tell readers what their main problem is and describe it. Then you must provide proof that the problem really exists. When you state an issue, readers may not believe you. Convince them with evidence, market research results, factual data, and/or statistics. List additional smaller problems. Sometimes, describing only one problem, even if it is significant, is not enough to make people understand that actions need to be taken immediately. Offer basic solutions. This part of a white paper is great for setting standards, which would indirectly speak in your favor, and which your readers will use to judge your competitors. For example, you can argue in favor of using a specific type of software (that your company is producing) for solving certain problems. However, don’t mention your company and specific products yet. When you have convinced the audience in the benefits of the basic solutions you’ve offered, then it is time to supply them with your solution. Introduce your company, and your product. Explain why it is specifically your product or service a customer should buy, and why the solution you are offering is the best of all possible solutions. Create a summary, and proofread and edit your piece of writing. White papers are mostly published online and are available for free download. They can also circulate among groups of people who resend them out via email or pass out printed copies hand-to-hand. 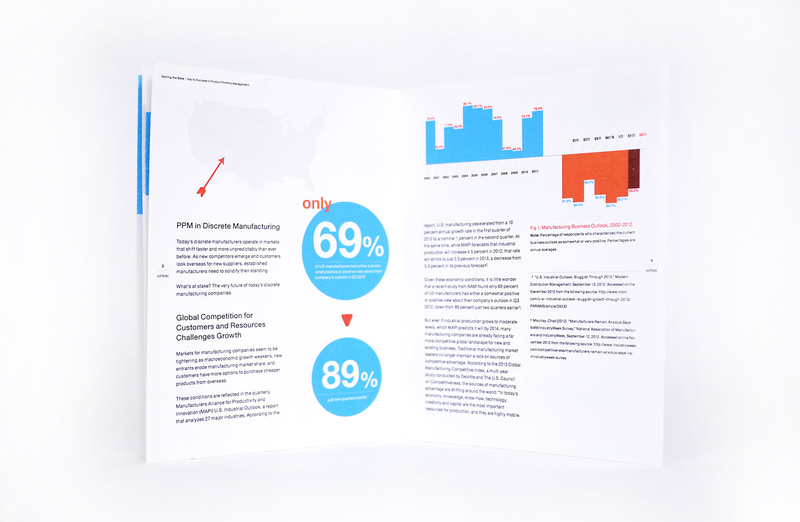 A title page isn’t necessary for a white paper, although many companies include it. If you do, you can also add a short summary of the document’s contents. There is no right way or common standard for formatting a white paper. Within its text, various formatting decisions can be used, such as different indentation of paragraphs from the edges, and different fonts and line spacing. The tone of a white paper should be serious and professional. No jokes or slang are appreciated in this type of writing. This document helps solve issues and is not designed for entertainment. Do get to the problem at hand quickly in the beginning. This must be done in order to capture your audience’s attention and make them read on. Do call for action at the end of the paper. Ask your audience to call a specific phone number, visit a website, buy a sample, or try out a trial version. Do try to make it no longer than 12-15 pages. Do use various images, charts, and diagrams. Graphical displays can be effective for reinforcing your points. However, it is important not to use vague imagery that doesn’t support the ideas presented in your document. Do add sidebars. A sound idea is to put some key points, quotes, or short summaries aside from the main text, and that is when sidebars and callouts are useful. Do take breaks when working on a white paper. Put it aside for at least 10-12 hours and do some other work or relax. If you have enough time, return to the document in a day or so. This will help you take a fresh look at what you have written, or you may come across an interesting idea during this time. Don’t try to sell your product or service directly. This will make it obvious that you are more interested in advertising and selling your product or service than in solving your audience’s problem, and people often dislike this idea. Don’t dig into unnecessary particularities. Complex concepts and highly-detailed scientific explanations will make the white paper boring and difficult to comprehend. As an indicator, observe yourself while writing. If you are bored, then your target audience most likely will also be bored. Don’t place your solutions at the beginning. If you do, nobody will read on further than this part. Don’t focus on features more than on benefits. Your potential customers must be able to see what the product or service you are offering is designed for and how it can help them solve their issues, and not simply how good it is. Don’t assume your audience knows everything about the subject. It is important to presume a certain level of awareness in order not to explain obvious and well-known aspects, but if you don’t clarify the important information, your white paper will lose value significantly. If there are too many terms and concepts that need to be explained, make a glossary at the end of the document. Don’t use such words as marvelous, revolutionary, awesome, cutting edge, and so on, since these strike the eye and may look like you are imposing your viewpoint on your potential customers. – Turning the white paper into an advertisement. – Forgetting about the heading. If you compose a catchy heading that represents the key problem your readers are interested in, it will make them want to read on. – Defining the target audience too broadly. It is definitely not enough to know their sphere of activity, main duties, and a couple of company names. Don’t judge them only by the industry or social groups they belong to. You must know your readers well enough that you are able to literally predict their every move. Knowing small, but important facts about your audience and their needs will result in better sales. – Ignoring the necessity of calling your readers to action. After they are done reading your white paper, most people will return back to their business. But, if you give them a hint about what to do further or a direction to move in, you can expect the results in the form of sales. Don’t forget to specify contact information and website addresses. – Beginning a white paper with the description of a company. Most customers care solely about solving their problems and may see your product only as one of various potential solutions. Give them the solution and not the company information.